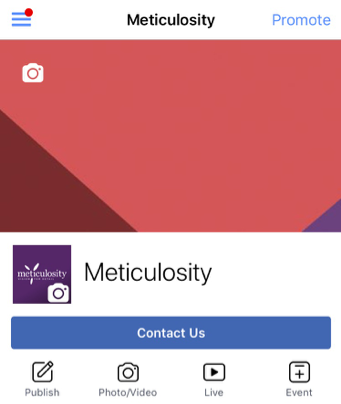 The good news for you is that going live is relatively easy – think of it this way, Facebook wants you to use this feature and has been pushing it solidly for at least two years, and so they make it pretty easy to get going. You may have already seen the little live button on your own personal profile below your status update options. Tap on that and you’re well on your way to going live through your personal profile. Going live as a business or organization is a little different but just as simple. 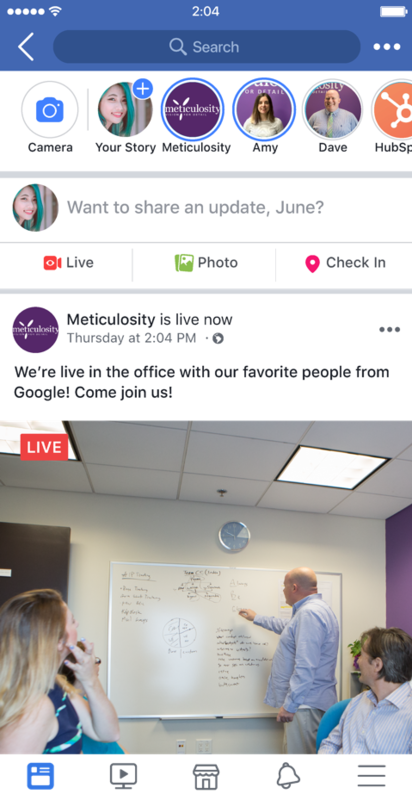 To go live on your mobile device all you need to do is open up the page manager Facebook app for Facebook page admins and tap on “Live”. On desktop, just navigate to your page. 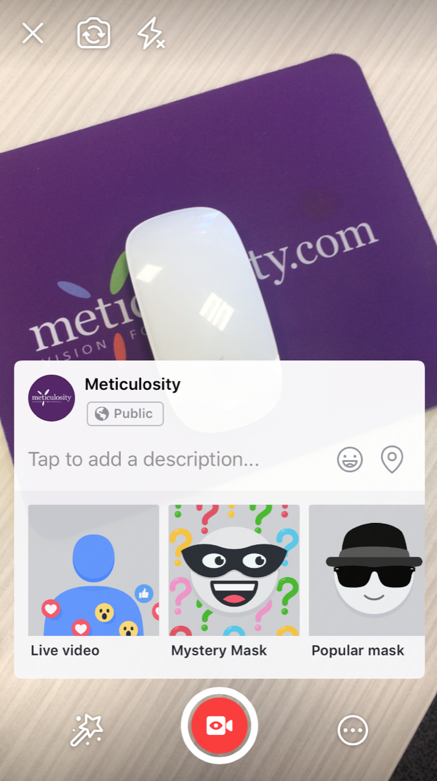 If you’re on mobile, you’ll see a live view through your camera and will be prompted to write a description, as well as choose from some fun masks. You’re not quite live yet! Fill out the description (and be as compelling as you can because this text will be posted with your video during and after the fact). Masks are relatively new. Scroll sideways you’ll see there are a lot to choose from. Although many are face-based, and similar to the kind of thing you’ve probably already seen on Instagram or Snapchat before, some are polls and games. If you’re use social media a lot you’ve likely already given Facebook permissions on your phone but on desktop Facebook will first ask for microphone and camera permissions before you can go live. Once you’ve allowed the camera and microphone, similarly to on mobile you’ll be prompted to write a description of the video. Click on the ‘go live” button and you’ll all set to go live! Product sneak peeks: Entice your audience with an exclusive first look at your newest products and collections. Behind the scenes: Transparency is something all potential customers value these days, so pulling back the curtain on your processes can really help with your sales. Training: Offer your most valued customers tutorials and exclusive training sessions with the products or services you’ve given them. Video Length: You can actually stay live for up to four hours in one session. Facebook recommends a minimum of 10 minutes and we suggest anything between 10 and 30 minutes. Unless you really have a lot of content to share and exciting footage you’re going to want to keep it short. Remember that Facebook is testing a feature that allows your audience to rewind to the start of live videos too, meaning people can join you from the beginning of your stream even when you're still streaming. Don’t worry about mistakes. Audiences tend to be more forgiving when content is live and if you totally hate your footage you can always delete it afterwards. Even Facebook was having issues with its live-feed during the 2018 F8 conference and it was soon forgiven when the issue was fixed. Having said this, just because it’s live doesn’t mean you can’t prepare! Try to be ready with topics and talking points beforehand. Being prepared means you’ll feel more relaxed, and that’s something that audiences can tell with live video. You can choose your audience. As a business, this means you can stream to everyone as well as to select customers or clients by invitation. 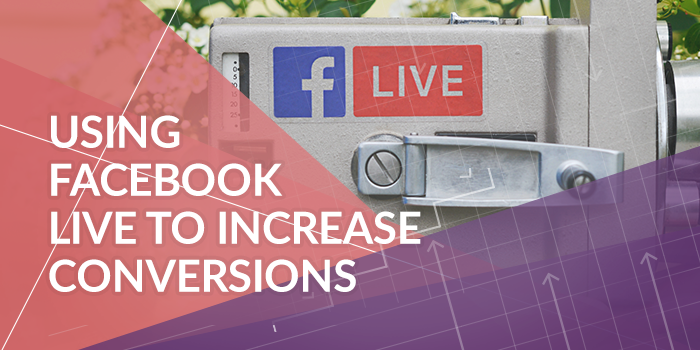 This is especially useful if you have segmented contacts and leads on your CMS because you can use Facebook Live to re-engage them in your content. Talk to your audience. This is a chance for you to offer people a genuine connection to your company, something highly valued by most potential customers. You’re not done with the live footage once it’s over. Replays and profile views are part of posting this kind of content so after you’re done track the sweet data coming in and monitor comments and reactions. You can actually adjust your video after it’s finished being live too, so don’t sweat the title and description if you think you want to change things up after the session. When you’ve mastered simple live-streaming through Facebook, you can easily set up more advanced streams too using external cameras and microphones. At the end of the day, Facebook live videos show up higher in news feeds than other kinds of post and can be a great way of driving traffic to your page and website.